Breakfast and unlimited WIFI are included at the ibis Styles Annemasse Genève hotel. The communal areas and breakfast room at the hotel are undergoing renovation. 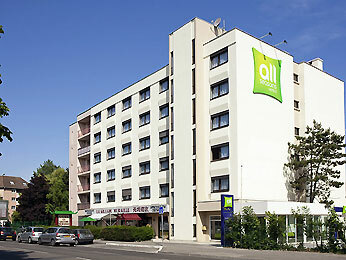 The hotel is located around half a mile (less than a kilometer) from the Swiss border. The ibis Styles Annemasse Genève and its staff have gained a lot of experience with arranging meetings, conferences, trainings and all sorts of events. Offering conference facilities including 3 meeting rooms the hotel has been used as a conference hotel in Ambilly on a regular basis. Please also have a look at the other conference hotels in Ambilly which we are proud to present to you.